NetShair Link – Share. Wi-Fi. Travel. Charge. Portable Wi-Fi Router and USB Media Hub. Begin your sharing spree with the free NetShair App! Simply download it and let the sharing begin! Available in the App Store and Google Play Store. "Kanex meDrive provides a safe, effective, and inexpensive solution to cloud based storage solutions that's easy for teachers to use on the existing dist ...read more. 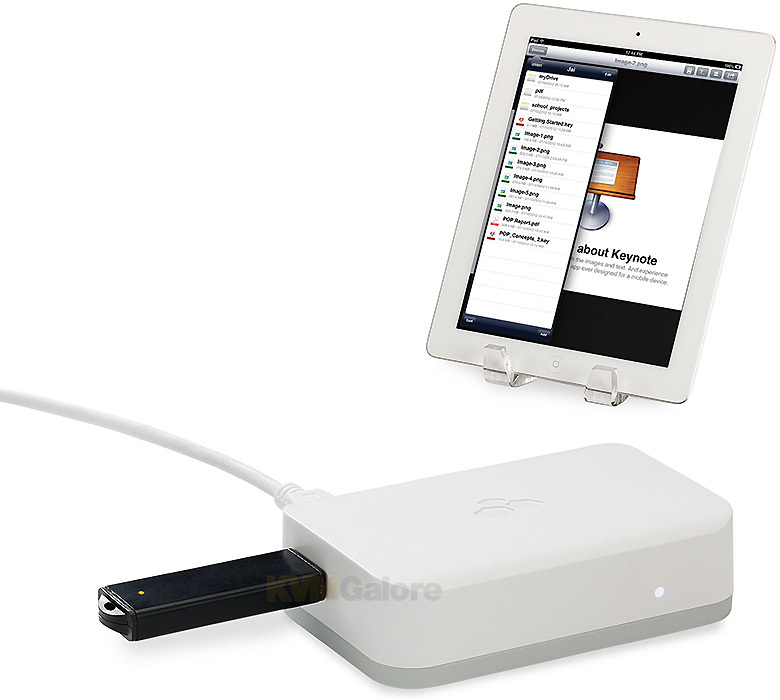 If you are an iPad user – you know storage is very important to you. Every time you take a photo or record a video – those Gigabits (GB) start to decrease. Or if you download books, movies or music - space becomes even more scarce. And, yes, those apps – that ...read more. Is it a HotSpot? – no, it's mySpot! Okay all you iPad and iPhone users… have you ever been in a hotel or conference room that does not have Wi-Fi – but only an Ethernet Internet connection? You know the challenge of connecting your iOS devices to an Ethernet connection – you can't!